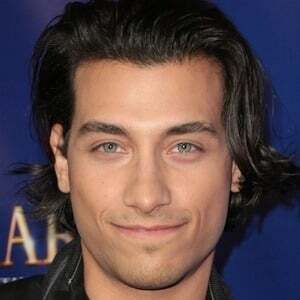 Made a name for himself portraying Joaquin in the CW drama Riverdale. He has also had small roles in Beyond the Lights and Ted 2. He originally began his career as a drummer, playing as a child and eventually recording and touring professionally throughout Canada. He co-owns the Canadian custom drum manufacturer Essex County Drums with his father. They founded the company in 2005. His mother, Linda, was a visual artist and high school teacher, and his father, John, was a civil engineer and musical drum builder. He has an older sister, Argelia. His girlfriend's name is Emily. He plays the love interest of Casey Cott's character Kevin Keller in the CW's Riverdale.